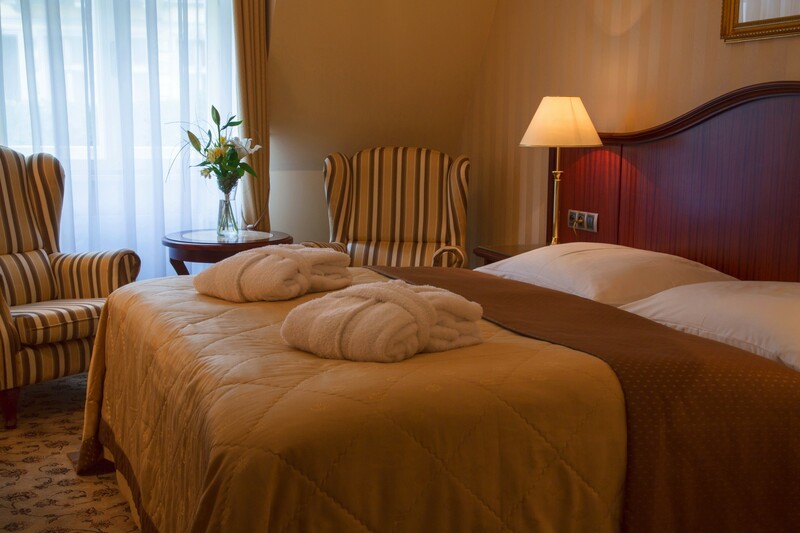 Hotel Romance Puskin is located in the spa center of Karlovy Vary in the street Tržiště 37. 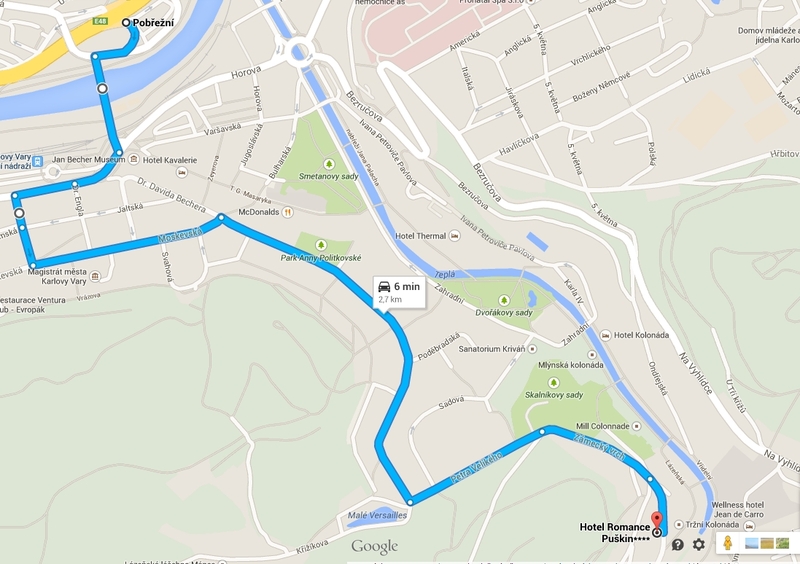 To get to Karlovy Vary, you can use different transport connections – by car, bus, train or plane. The hotel itself can be reached by car or bus (terminal station of the bus no. 2 is located 240 m from the hotel). To facilitate your arrival, we mention some important information and helpful tips related to your arrival below. Arrival from Cheb / Nürnberg / München, road R6 / E48 – before the OMV petrol station (on your right side), turn right, at the traffic lights turn left over the bridge. After the bridge, turn right at the traffic lights, then take the second street to the left, passing the underground garage (on your left) and then turn left again. 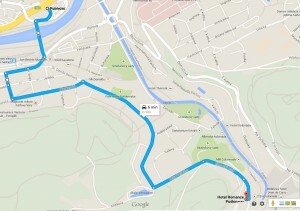 Go straight down the street Moskevská to its end, then turn right up the hill to the street Krále Jiřího. Follow the main road, past the Orthodox church of St. Peter and Paul (on your left). At the crossroads after passing the church, turn left onto the street Petra Velikého (still continue along the main road), then pass the Church of St. Lukas on your right side. After ca. 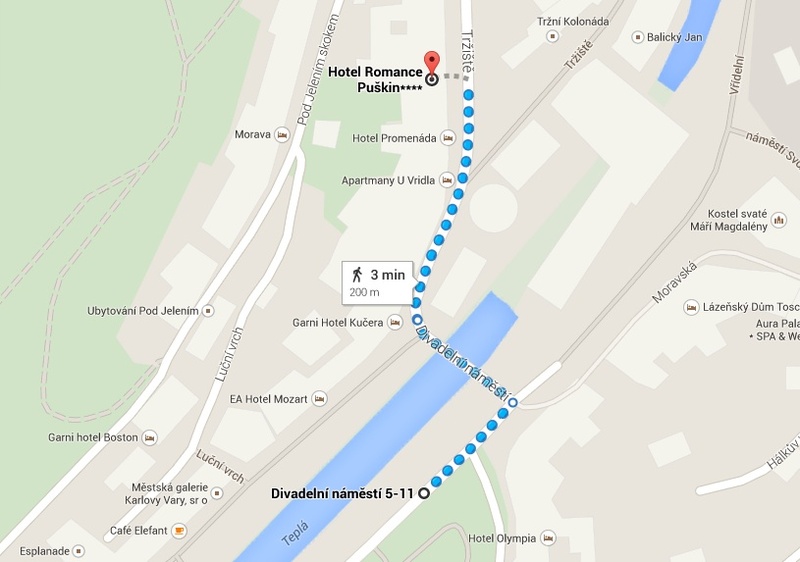 300 meters, you will get to the Hotel Romance (in the street Tržiště, opposite the Chateau Spa and the Holy Trinity column). Arrival from Prague, road R6 / E48 – after passing the golf course (on your right), turn left after ca. 500 m, direction spa center (Grandhotel Pupp), through the village of Hůrky, following the road Pražská. Drive down the winding road about 3 km. At the crossroads with the street Libušina turn left. At the intersection near the Hotel Imperial, turn left and follow the main road down the hill to the intersection at the Parkhotel Richmond (on your left). At the crossroads turn right leaving the main road (direction Lázně jih/Spa south), pass the Grandhotel Pupp (on your left side), through Divadelní náměstí/Theatre Square and turn left crossing the bridge over Teplá river. Then right and up the street. You will see the Hotel Romance on your left side (in the street Tržiště, opposite the Chateaux Spa and the Holy Trinity column). For a more detailed description of the route or to find the routes from other directions, please use the following ROUTE PLANNER. Hotel Romance is situated near the thermal springs inside the spa area in Tržiště street. There are „no vehicle entry“ signs on both directions of Tržiště street (both when coming from Petr Veliký street / Zámecký vrch or Divadelní náměstí). These signs are NOT VALID for hotel guests. You can proceed with your car directly in front of the hotel. In case you are stopped by local authorities present your reservation confirmation. This confirmation allows you to enter spa area. For assistance, please contact us on telephone number +420 353 222 646. 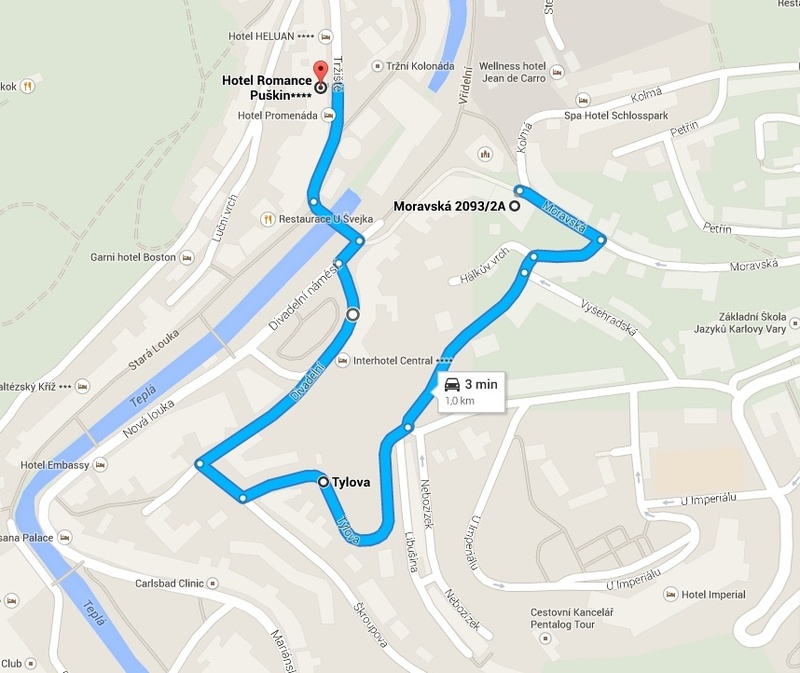 Our guests may use hotel parking places (extra charge applies) situated on street 100-200m from the hotel. Please note that number of parking places is limited and booking in advance is highly recommended. Upon your arrival you may park your car directly in front of the hotel on the street. After you unload your luggage and check-in, the reception staff will give you your parking card and guide you to the parking place. In case there is no hotel parking place available, you may use parking house Libušina (extra charge, 850m from the hotel). 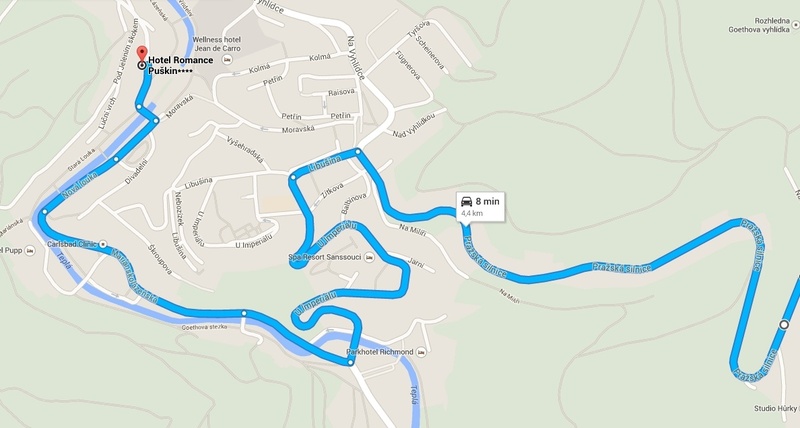 Sometimes, our guests are guided by the GPS navigation to a dead end street complicating their arrival to the hotel. If this happens, please contact us on telephone number +420 353 222 646 and we will be happy to give you the right directions. 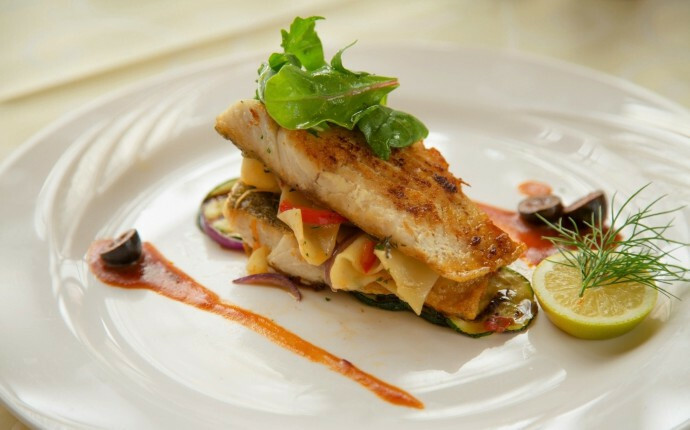 Very often, are guests get lost behind the St. Mary Magdalene church in Moravská street (300 m from hotel Romance) where it is not possible to continue due to a closed gate. In this case, please follow the map below. From Tržnice take bus no. 2, direction Divadelní náměstí. Get off the bus on the final station Divadelní náměstí. Hotel Romance is approximately 3 minutes walk from the bus station (cross the bridge over Teplá river, turn right and go uphill). From Dolní nádraží take bus no. 18, direction Garáže MHD. On the next station Tržnice change to bus no. 2, direction Divadelní náměstí and follow the instructions above. For more information, you can see the public bus diagram and schedule. From Horní nádraží take bus no. 1, direction Lázně III, or bus no. 13, direction Lanovka Imperial. On Tržnice station change to bus no. 2, direction Divadelní náměstí and continue till the final station. Hotel Romance is approximately 3 minutes walk from the bus station (cross the bridge over Teplá river, turn right and go uphill). International Airport Karlovy Vary is located approximately 8 km (20 min. by car) from the hotel. We would be pleased to arrange a transfer from the airport for you. Our driver will be expecting you at arrivals (price for this service is 20,-€/500,-CZK). Alternative option to get to the hotel is by bus. From the airport take bus no. 8, direction Tržnice, till bus station Na Vyhlídce (20 min.) where you change to bus no. 2, direction Divadelní náměstí, and go till the final station Divadelní náměstí (10 min.). Hotel Romance is approx. 3 minutes walk from the bus station (cross the bridge over Teplá river, turn right and go uphill). Václav Havel International Airport Prague is about 120 km (1h 30min drive) from the hotel and you can use our transfer service. Price of the transfer depends on number of persons (85,-€/2200,-CZK for up to 3 persons, 95,-€/2500,-CZK for 4-7 persons). Our driver will be expecting you at arrivals with a sign with your name. You can also take a bus operated by RegioJet, which goes every hour directly from the airport. You can buy the tickets in advance (approx. 165,-CZK per person) on RegioJet website. 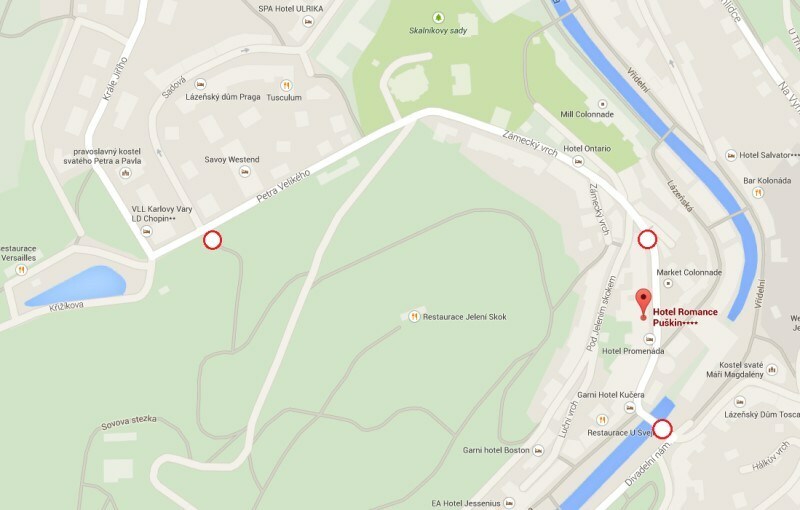 For description how to get from the bus station in Karlovy Vary to our hotel please click on „Arrival by bus“ above. To book your transfer please contact us in advance with your flight details (flight number, arrival time, departure city and number of persons. For transfers, we use Mercedes Viano (up to 7 persons) or Volkswagen Touran (up to 4 persons).